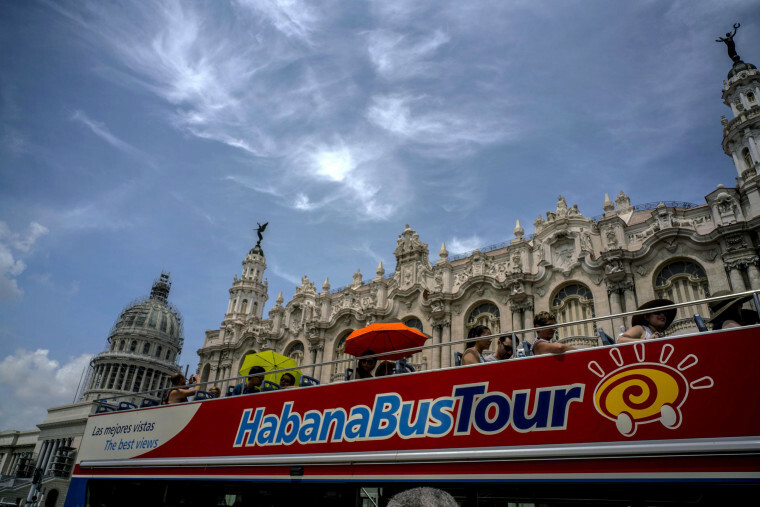 WASHINGTON— Americans who visit Cuba must now avoid hotels, shops, tour companies and other businesses on a lengthy list released Wednesday by the Trump administration as part of a new policy aimed at cracking down on the communist-run island's government. U.S. travelers will once again be required to go as part of organized tour groups run by U.S. companies, and a representative of the sponsoring group must accompany the travelers. That's a return to the stricter rules that existed before former President Barack Obama and Cuban President Raul Castro restored diplomatic relations in 2015. The new rules and list of off-limits entities are intended to put in place the tougher Cuba policy that President Donald Trump announced in June. Trump's administration took several months to finalize the details of that policy, which will take affect Thursday. Some exceptions will accommodate Americans who made plans or entered into business agreements before Trump's policy announcement June 16, such as "people to people" trips to Cuba. It also places off limits a new cargo port and special trade zone outside the city of Mariel that has been the focus of Cuba's efforts to draw foreign investment in manufacturing and distribution. A list of blacklisted military-run hotels includes the Manzana Kempinski, which opened with great fanfare this year as Cuba's first hotel to meet the international five-star standard. Left unchanged is a U.S. travel warning that urges all Americans to stay away from Cuba. The administration issued that warning in September amid a series of invisible, unexplained attacks that have harmed the health of U.S. government personnel in Havana. The U.S. says 24 Americans are "medically confirmed" to have been affected by those attacks.